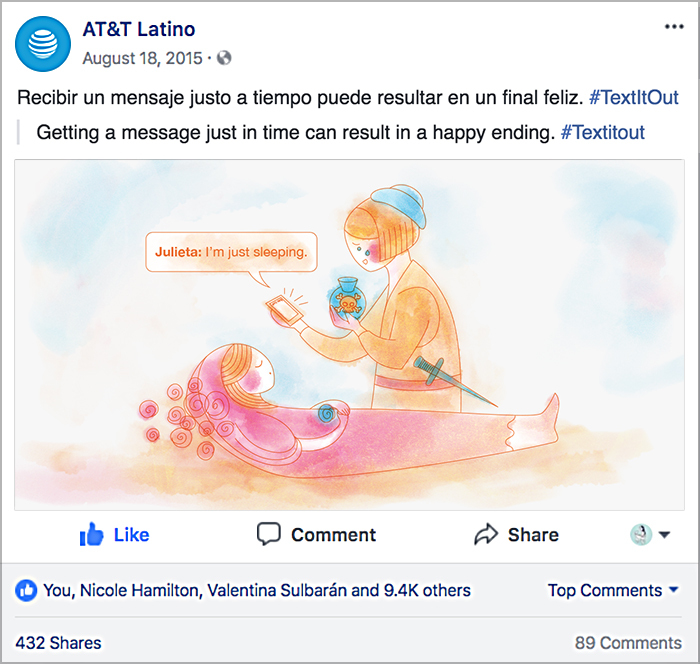 My partner and I were in charge of AT&T Latino's social media channels, we got to come up with many fun posts(under very little time with no $$$). Here's some of our favorites. We took what's suppose to be a boring offer post and put a cat on it. It is the internet after all. For Day of the Dead, we want to scare the living crap out of people, in a non-lawsuit-able AT&T friendly way.